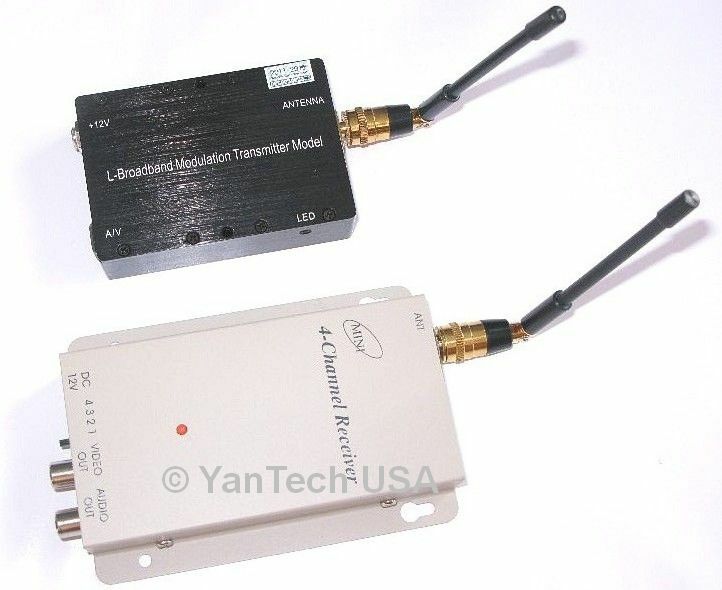 You can set up a wireless 4-Camera surveillance monitoring system: with four of this 4-Channel Wireless Transmitter and one Receiver sets, you can connect up to 4 different A/V cameras using 4 different channels and transmit simultaneously without interference! If you want to see all four camera views on the same screen in a split sections, you can add a SMALLEST Portable 4 CH Color QUAD Processor Multiplexer. Contact us to get a QUAD Processor or Micro/Security Cameras at a discount price! Note: This system is designed for super high quality image transfering, not for super high quality audio transfering such as hosting a concert. If you are going to use this sytem for audio transfering purpose only, we can suggest you a different model, please contact me for advice before you purchase the product. 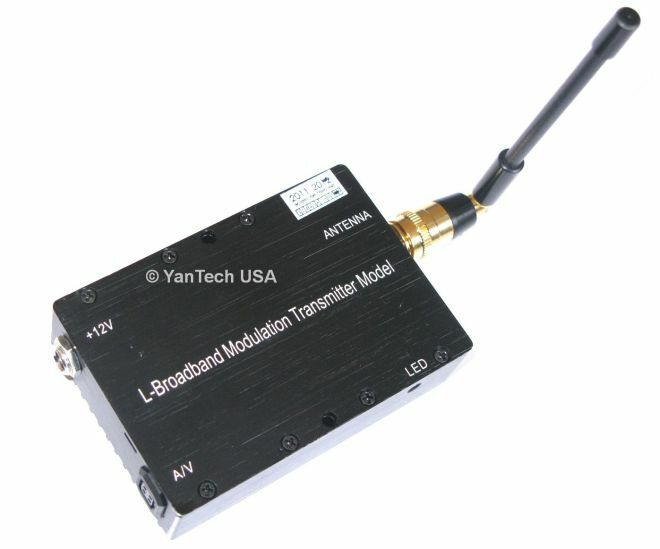 *Note: The wireless transmission reception result could vary depending on environmental and topographical conditions, based on a lot of factors such as the above ground clearance distance, the material/structure of the building environment in between, whether there is a LOS, other electronic and appliances in the same environments, the topology, the temperature and humidity, weather the transmitter or receiver is moving, etc. The LOS range in the specification is the manufacture lab rating in a "perfect" environment with the high gain antenna. Connect the antenna of receiver to the receiver. Connect the AUDIO and VIDEO OUT of receiver with the AUDIO and VIDEO IN of monitor using AV cable. Plug regulative power plugs of DC power transformer into the jack of receiver power. Connect the antenna of transmitter to the transmitter. Connect the signal input connector and vidicon using special cable. Plug regulative power plugs of DC power transformer into the power jack of special cable. The channel of receiver and transmitter must be matched. Transmitter is 12V regulative power, receiver is 12V switch power, the center of jack is positive. Please connect the antenna first before the power of transmitter starts, otherwise the transmitter will be burned/destroyed easily because most of the energy is consumed in it and the excess power cannot be released by the antenna. When the transmitter is working, don’t touch the antenna because of the large power. Otherwise the high temperature of antenna will hurt your hands!! Please choose the right power for this product. The transmitter must work at the ventilated place. 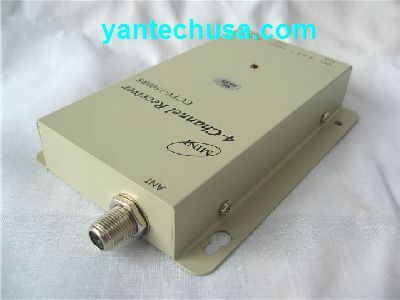 It can make the using life of transmitter much longer. Wireless transmission reception result might be affected due to different environmental and topographical conditions such as the weather, noise, the structure/material of the building, etc. For a better reception, make sure that the transmitter and the receiver are placing at least 5 feet above ground. Antenna must be attached on the transmitter before power up. Otherwise, the transmitter will be burned out because the excess power cannot be released by the antenna. This product must be used within the law. We are not liable under any circumstances if the device(s) is used for illegal purposes. Transmitter is 12V regulative power, receiver is 12V switch power, the center of jack is positive. Transmitter has a special cable for connection. The red connector is for power input, the black one is for vidicon power supply, the yellow one is for video output, and the white one is for audio output. The jack connects to the transmitter directly. Receiver has a special cable for audio and video. It connects the receiver and monitor. The VIDEO OUT in the receiver should be connected with the VIDEO IN of the monitor. The AUDIO OUT in the receiver should be connected with the AUDIO IN of the monitor. In default, you needn’t adjust the system when all the components are connected together, the channel of transmitter and receiver are matched. Please connect the antenna first before the power of transmitter starts, otherwise the transmitter will be destroyed easily because most of the energy is consumed in it. If you want to change the channel, you can change the jumper’s place, the jumper is at the side of transmitter. The switch must be changed at the same time, the switch is near the AUDIO OUT of receiver. Please select the outside directional antenna if the output is large power. 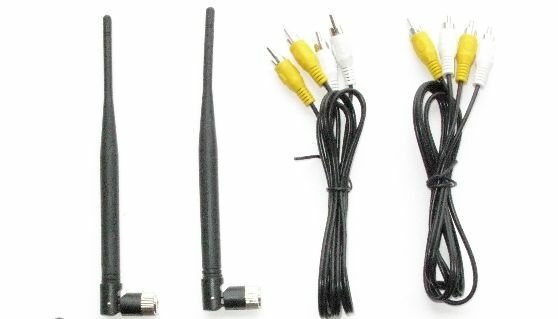 If you use the small all-direction antenna, it will produce big transmitting current, the temperature of antenna will rise, transmitting power of antenna go down. The power of higher than 12V is not permitted. Make sure which is the positive or negative of power connector. The inside is positive, the outside is negative. 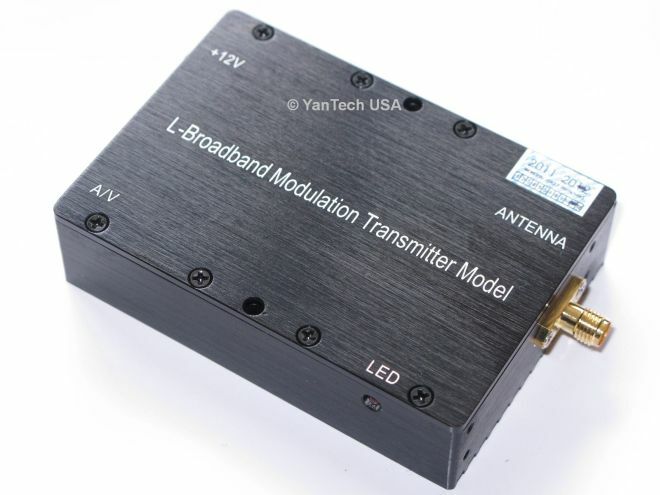 If you want to transmit to a longer distance, please use the directional antenna, the transmitting distance of it is 2 or 3 times than the all-direction antenna’s.